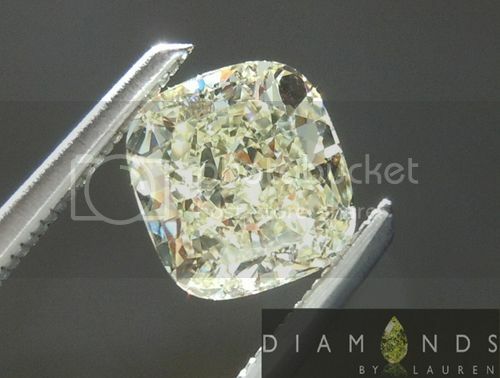 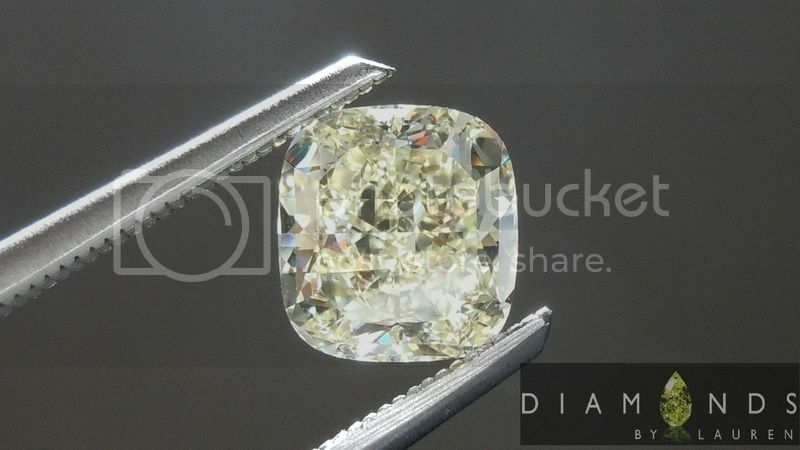 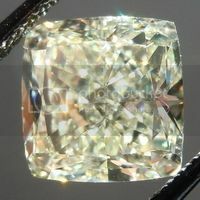 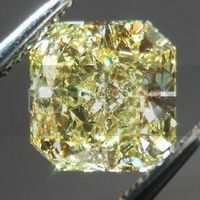 Here is a very sweet looking Natural Light Yellow Cushion Diamond. 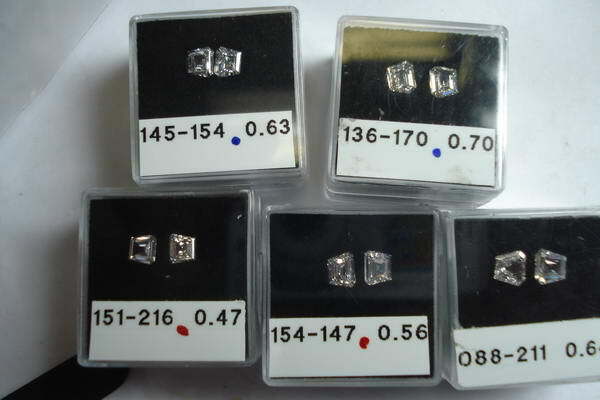 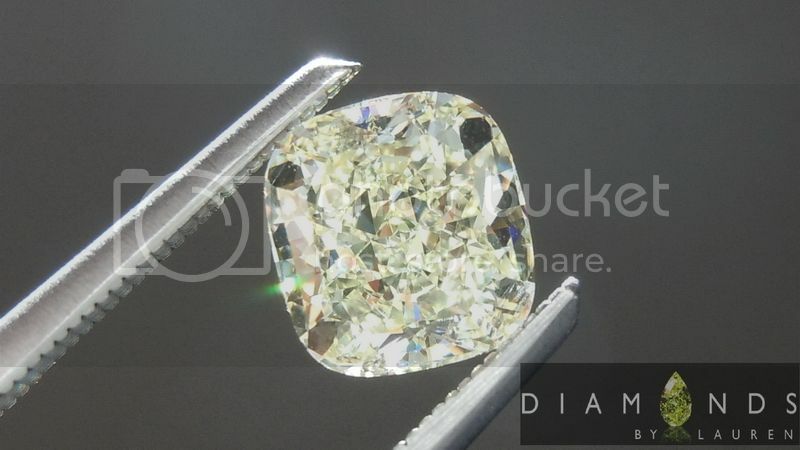 The cutter submitted the diamond for color only report, because of an interesting aspect of diamond evaluation. 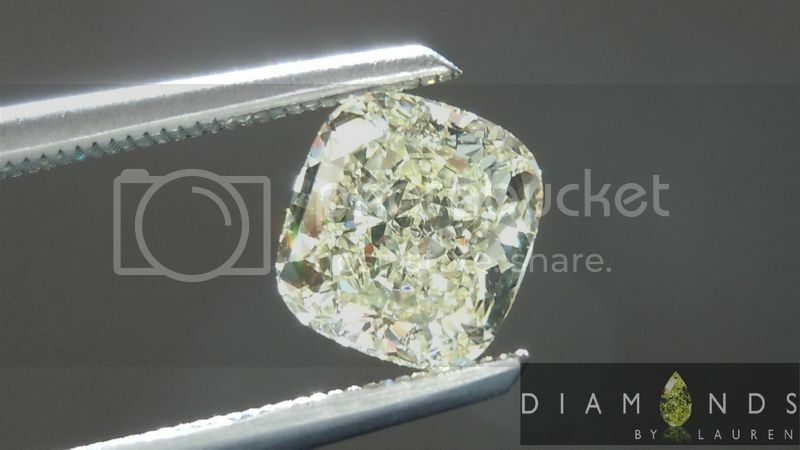 If you compare the price of D/VVS1 to D/VS1, there is a fairly substantial difference. 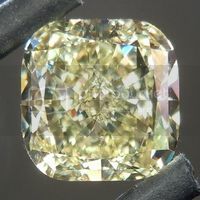 In Y-Z color, even internally flawless is not necessarily worth more than an VS2. 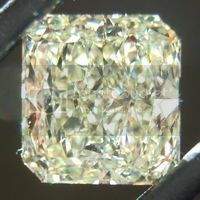 The value in Y-Z color is based more on how the diamond actually looks. 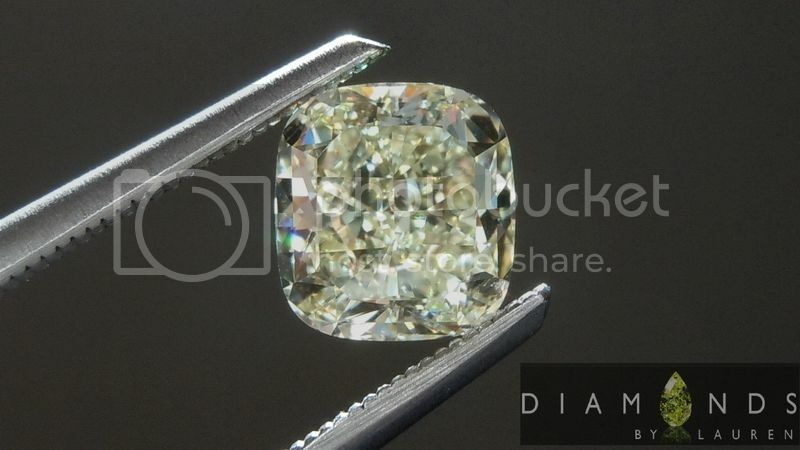 In spite of this, we feel that our clients would prefer the full GIA report - so we had the stone sent back to GIA for this. 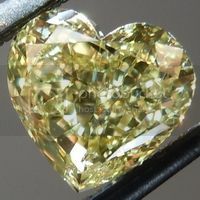 I love this stone. 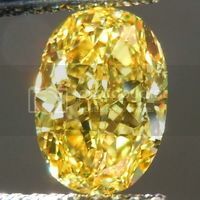 It has a great color - very close to Fancy Light Yellow. 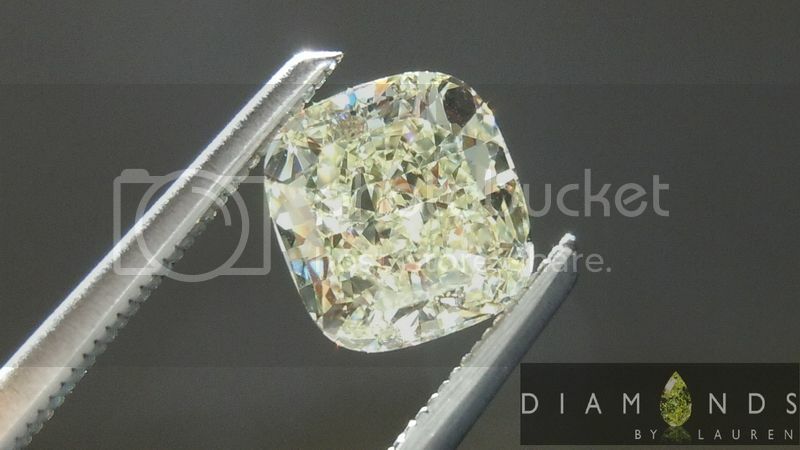 The clarity is a near perfect VVS1 - it is a very clean diamond. 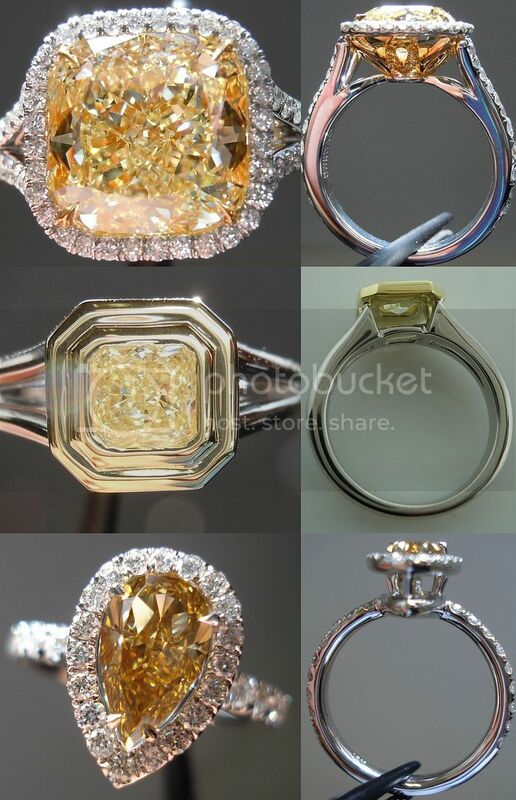 In terms of cut, wow, it's nice. 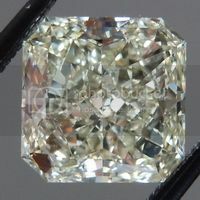 Great shape on this cushion and the sparkle is edge to edge. 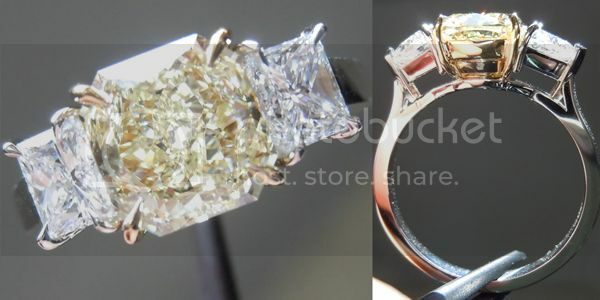 Great size for it's weight as well.